Australia’s inaugural International Cyber Engagement Strategy provides guidance on the actions Australia will take to use digital technologies to achieve sustainable development and inclusive economic growth in the Indo-Pacific. 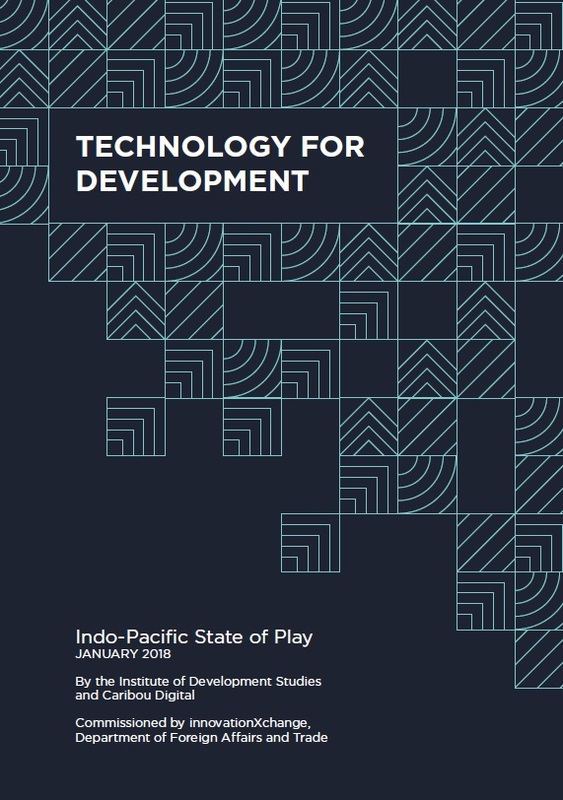 In support of the Strategy, the innovationXchange commissioned a report examining the current landscape of development interventions supported by current and emerging technologies: Technology for Development: Indo-Pacific State of Play. The report examines how digital technologies have allowed humanitarian and development interventions to scale to larger populations with lower costs and have created the enabling environment for innovation in sectors such as education, health, agriculture, economic development and women’s empowerment. It highlights the essential digital building blocks that forge a digital economy and society – Internet connectivity, digital financial services and digital identity and their current state in the region. It provides a regional overview of existing infrastructure and connectivity standards and profiles important emerging technologies likely to have significant development impact in the coming years.